It may well be cold outside but wrap up warm and come and join us at the next screentime showing on Monday, 28th January 2019, at Trinity Theatre. 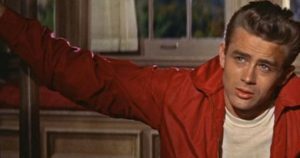 This month’s film ‘Rebel without a Cause’ stars James Dean as the trouble making teen, Jim Stark. Find out more by visiting Trinity Theatre’s website Screentime page. The film starts at 10:30, look forward to seeing you there!